According to G. Ndayishimiye, a waiter in one of the hotels in Bujumbura, some of the service providers in hotels don’t have a sense of hospitality. Their only concern is to earn money and they don’t care about the rest. All of this is caused by the lack of training. As a matter of fact, hotels’ services are affected. Florine Banyiyezako, a Duty Manager in Roca Golf Hotel shares Ndayishimiye’ s view that in Burundi, the customer care is somehow poor. Many agents consider the vocation as temporary. It is worth mentioning that hospitality and customer care are among the main qualities of a good hotel. That is the reason why it is of a paramount importance to give intensive training to hotels’ employees so that they can acquire how they should behave and offer good services at work. “In Burundi, hotels are improving but a good training is still necessary. Workers have to know how to behave in front of the customers, welcome them kindly and politely and provide them nice services. This is possible thanks to an efficient training,” points out Banyiyezako. Godelieve Manirakiza, Legal Representative of Burundian Hotel Promotion Association (APROHOB) indicates that because of tax exoneration offered to investors in hotels, the number of these latter is rising very considerably. However, few of them fulfill the required standards and services offered don’t match with the price; or most of the staff personnel are not qualified in the domain. 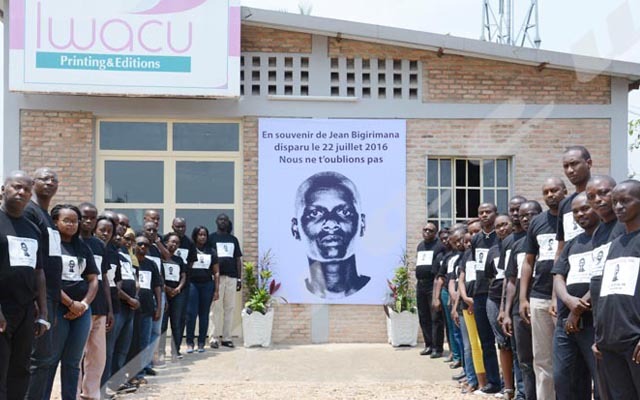 “In Burundi, there is a bad habit of giving job positions to relatives or fellows regardless of their competence. Consequently, plenty of hotels lack professionalism and so, lose their customers,” points out Manirakiza. Grégoire Bashirahishize adds that training should be a major priority in hotels and touristic sectors. Then, even the hotel’s owner must get training to work more effectively. “It is good for both the owner and the manager to have training so that they can work in harmony because in that case the owner can also be aware of the problems that his manager faces day after day. That good understanding will certainly improve the hotel’s activities,” insists Bashirahishize. He recommends hotels’ owners to consider the training aspect seriously because it is really important in the good management of any hotel. Banyiyezako adds that in Burundi we need many schools, Institutes teaching that field. According to Manirakiza, the government, especially the Ministry of Commerce, Industry, Posts and Tourism should motivate hotels’ owners and touristic sites’ holders to improve these two complementary domains. “It is also better to make a census to know those who are skilled in hotels and tourism in order to ameliorate the two sectors. The government should urge young people to study the two sectors in secondary schools or send them to benchmark institutes or universities to get appropriate capacity,” highlights Manirakiza. APROHOB will soon open a school “APROHOB Vision School” specialized in Hotel and Tourism, Accountancy and Management in September this year and plan to provide a short-term training of 3 up to 6 months for staff working in hotels. For more information call on: +257 79 962 383 or 78 110 045. I am delighted to read that a training institution is to be set up to help set a structure to train workers in the hospitality industry in Burundi. This has been long overdue as more and more hotels come up with no qualified management teams in place. Congratulations to Madam Godelieve for your article, as a hotelier I shall be looking forward to contribute to the development and implementation of a customer care and service delivery charter for the hotel and tourism industry in Burundi. Thank you Madam for speaking out against all I’ve read. Madam, people are impressed to open up businesses but not trained for it or them. To start a Hospitality industry requires full training and understanding of what we are going to do. I believe that most owners have no idea what is Hospitality about. As you mentioned, Hospitality industry is not family business, once somebody opens such thing should think of income not plunging family members in it. Hospitality industry needs more care and thorough staff training and customer care if we want customer to be pulled in, not nice building where is no qualified staff.